Two penguin chicks in burrow on Fisherman Island—they are about one week away from having a fully developed wet suit and being able to have their first swim. 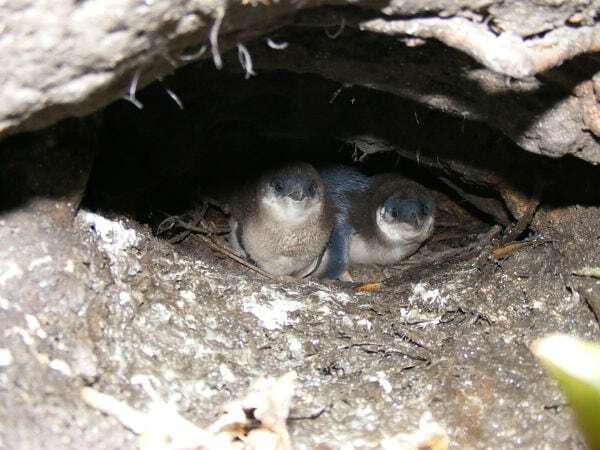 Project Janszoon is asking for help from the public as they undertake the first ever survey of little blue penguins in the Abel Tasman National Park. The survey, which has just got underway, will quantify the number of penguins in the park and their conservation status. 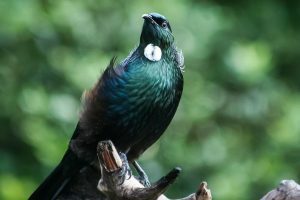 In the last few weeks a ranger has surveyed the most difficult part of the park’s coastline, from Onetahuti Bay to Awaroa Head, with some encouraging results. Ranger Reuben Lane walked the coastline between Onetahuti Bay and Awaroa headland looking for signs of penguins landing and then tracked the birds back into the bush to record their burrow sites. He found a sizeable colony near Reef Point with over 50 active burrows, and another on Fisherman Island with about 60 burrows, 28 of which were active with 75% having two chicks and the rest one. “Near Reef Point the terrain is ideal for penguins as there are a huge number of large boulders providing excellent ready-made cavities for nesting and protection from wild pigs. We found some burrows 55 metres from sea level which shows how far penguins are prepared to waddle up through the forest to find a suitable burrow,” says Mr Lane. Project Janszoon ornithologist Peter Gaze says now the toughest stretch of coastline has been surveyed the more accessible and volunteer friendly areas can be accessed and he would encourage the public to help. “If you know where penguins are nesting then please let us know, it may be under a bach or in a burrow, but if we can register these active burrows we will get more knowledge of how many blue penguins are in the park. 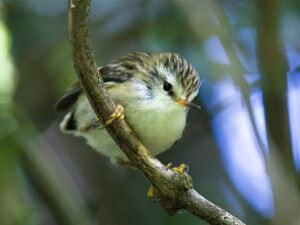 Once we understand more we will be better able to manage them on the mainland,” he says. Coming into the peak holiday season is also a dangerous time for the penguins as the chance of being hit by a boat increases. Mr Gaze is warning boaties to keep an eye out for the birds while enjoying time at sea. He also says having confirmation of colonies on the pest-free offshore islands such as Fisherman Island means there is potential for an interesting study comparing the mainland colonies with those offshore. 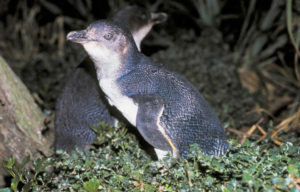 Blue penguins (kororā) are the world’s smallest penguins. Numbers of blue penguins are decreasing in New Zealand with the Department of Conservation ranking them as lower risk—near threatened.